Last week I had to visit a Bank Branch to try and get my address changed. During my visit two customers requested large cash withdrawals totalling £1,000 in one instance and £1,400 in another. Each customer was unsuccessful since they needed to provide Photographic ID and only left with £500. A few days earlier the UK Payments Council decided to abandon their plans to ban cheques after complaints from many people citing the problems these plans would have caused e.g. payment of fees and deposits to Schools by parents and donations to local charities etc. would all be inhibited. For those lucky enough to have such an item your Blankey Blank Cheque Book and Pen will continue to serve a useful purpose! Last week Northern Bank also announced that they intend to close a number of Branches across Northern Ireland. Whilst I can understand that operating a Bank Branch is expensive and that the Northern Bank have taken the decision in order to cut costs the reality is that the concept of a cashless society without the need for Bank Branches, Notes and Coins still remains a dream. Whilst people still wish to withdraw hundreds of pounds in cash and payment via cheque rather than electronic methods is still required the concept of a cashless society remains something that perhaps will require decades or even a new generation before Barclaycard's Contactless waterslide advert becomes a reality. Until then those who prefer to pay via cash should be facilitated, not unduly penalised and helped to make the move to more secure methods of payment. Carrying £1,400 in your wallet or handbag doesn’t seem to me to be a wise thing to do. Hi Andrew, totally agree with you that s cashless society will be a long time in coming. 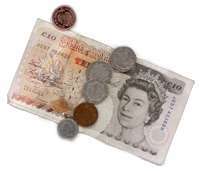 However I think that of the main reasons for the cashless society taking so long to come about especially in regard to the UK, is the banks and that they will not put the investment into bringing the cashless society to customers in the UK. Until the government grow a set of something that they are seriously lacking at the moment and force the banks to invest in the infrastructure that is required for a cashless society to become s reality. But the chances of that taking place anytime soon is my going to happen. The losers in this are as usual the customers, who will continue to tbe fleeced by the bankers.